The place to begin is with the landscaping—it frames the picture that’s the first thing buyers see when they pull up during the warm months. If you don’t have summer flowers planted, that’s okay—improvise! Purchase a few hanging baskets and potted plants. Place them along pathways, the entrance, and other places that could use a little bit of color. Hose the exterior, but if the years have been too tough, you may need a refresher coat of paint or trim. Perk up the lawn with an easy-to-apply lawn food spray; edge where needed; then mow and admire! Give your windows a good cleaning (outside first)—it’s surprising the amount of sparkle that simple job can add to your Kenai Real Estate open house. Air the house thoroughly as you do a deep clean where it’s needed: usually a shampoo of carpets and rugs will accomplish the lion’s share of the work. Add some summer color to your rooms with fresh throw pillows, and as your open house draws near, see where a few well-placed floral arrangements would add bright color to draw the eye. 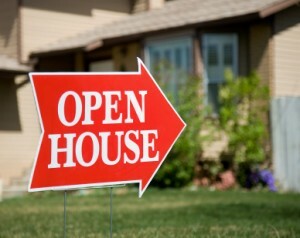 Before the day of your open house, there are a few more quick checks to be made. Walk around the house. Are the air conditioner units clean? Are the gutters and rain spouts in good shape? Outdoor spaces are great selling points to make your home more attractive to buyers, and a summertime Real Estate Kenai open house creates the perfect opportunity to show them off. There are always a few little things you’ve been meaning to attend to…now is the time! Looking for more open house tips? Call me today if you’re thinking of listing your Kenai Real Estate home for sale. We can discuss a marketing plan to get your home S-O-L-D this summer!